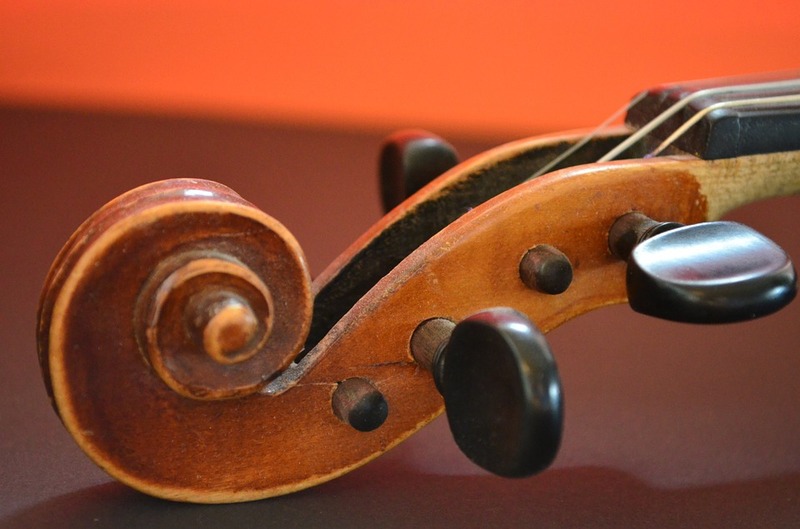 Standort: 5: Music, Outreach & Seminars . 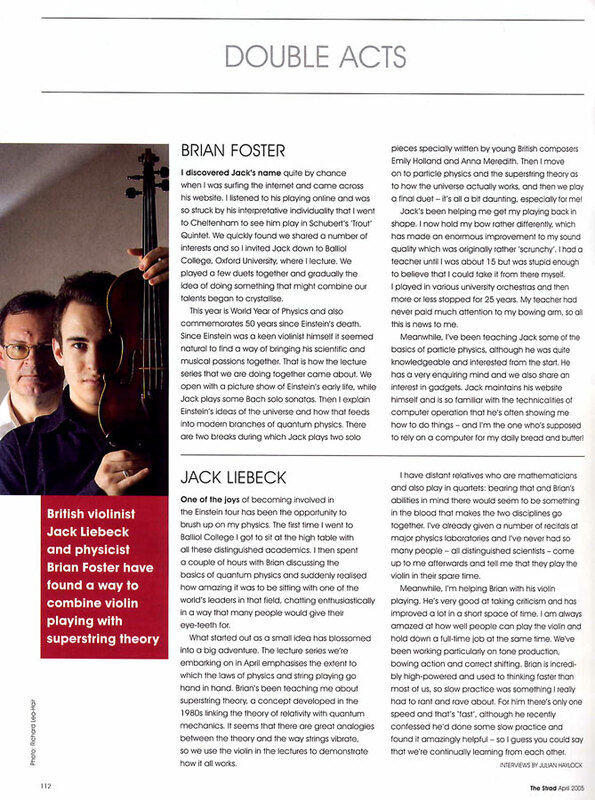 Particle physicist Brian Foster of the University of Hamburg and DESY, has teamed up with the British classical musician Jack Liebeck to create a special lecture and performance about Einstein's legacy to physics and the role music played in his life. The show, called "Einstein's Universe", was performed in Laeiszhalle in Hamburg in 2013 and has toured internationally. Since 2011, he is organising the Science & Music Festival - a series of four or five events per year. 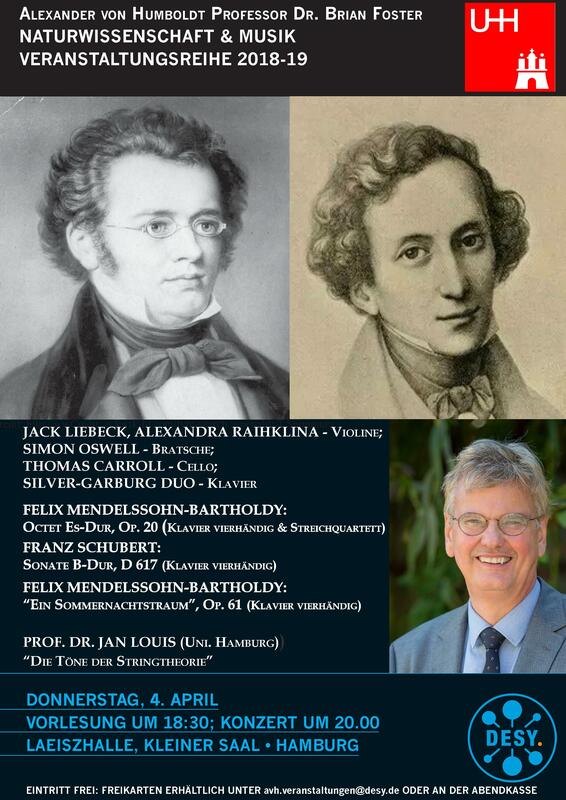 The talks and concerts take place in the Auditorium at DESY, Deutsches Elektronen-Synchrotron, Hamburg or at Laeiszhalle, Kleiner Saal. The Musical Director is Jack Liebeck. Born in London in 1980, Jack Liebeck is established as one of the most compelling young violinists on the concert platform. Oxford May Music is a music, science and arts festival that celebrates culture and human achievements in a truly unique way. 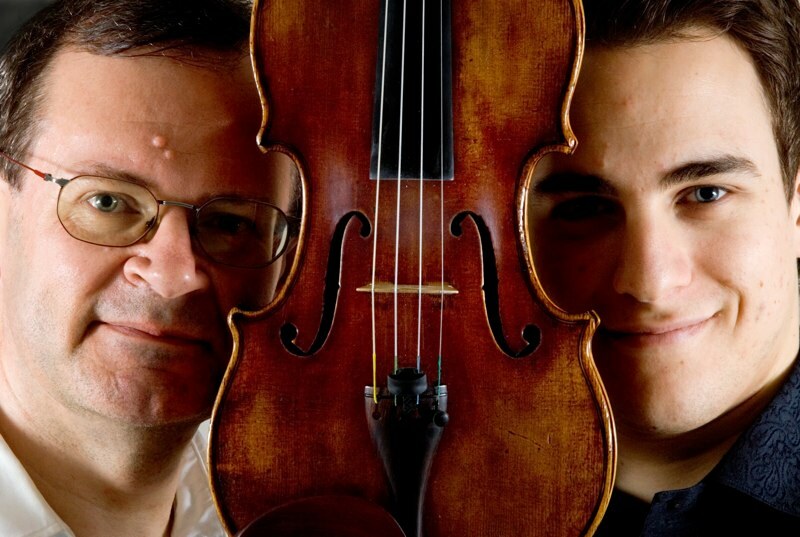 In this exclusive report for physicsworld.com, James Dacey talked to the pair before a recent performance at St George's concert hall in Bristol. have found a way to combine music and science.